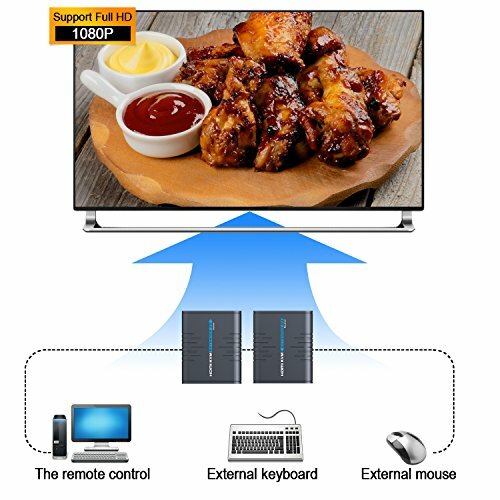 - Transmits picture signals up to 1080p at 60HZ. 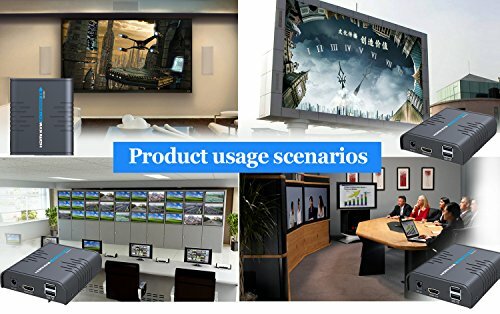 - Copy EDID function to match many kinds of display devices. 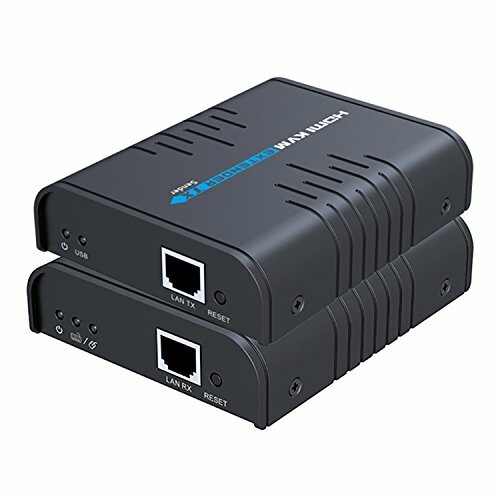 - Supports standard 802.3 Ethernet 10/ 100/ 1000Mbps. 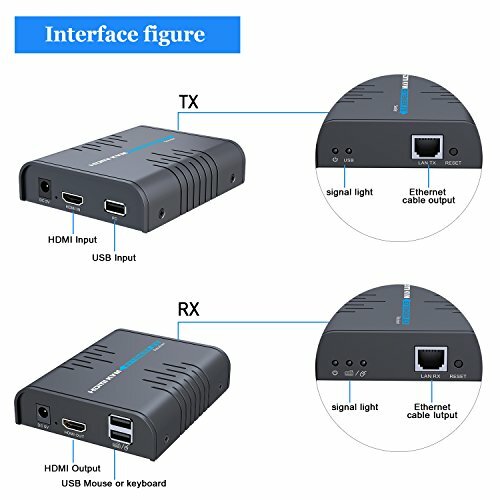 - LED indicators for power and USB connection status. 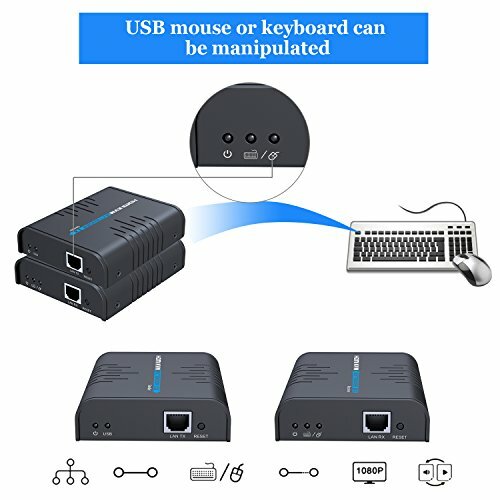 - Transmits keyboard and mouse data via LAN. - Aluminum alloy housing for port stability and durability. - Built-in ESD protection system for safer transmission. 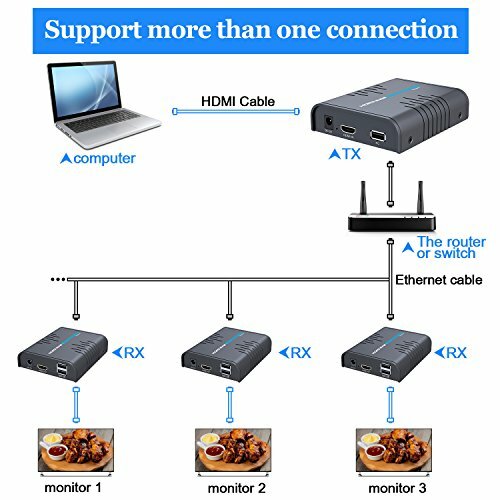 1.Point to multi-point connection via switch is supported too,but under point to multi-point configuration, it is bly recommended to operate KVM function on one receiver only at the same time. 3.Can work on router over 450M with pc's, xbox,and please shut down the network management function of the router. 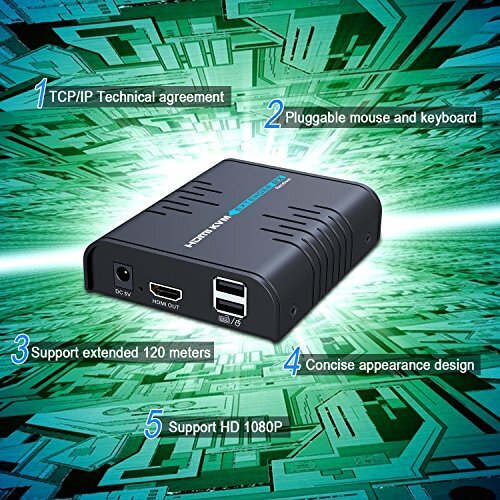 5.Not work with wireless 2.4G mouse kit, only support wired or bluetooth mouse and keyboard with USB dongle.